Haverford Township is a region of Delaware County in Southeastern Pennsylvania. It is a Western Suburb of Philadelphia. It is made up of Havertown, and different sections of Bryn Mawr, Drexel Hill, and Ardmore. There about around currently 50,000 people living in Haverford Towniship. It was founded by the Welsh Quakers in 1681 and purchased by William Penn. It is home to five elementary schools along with a middle school and a high school. It is a great community to live in and a perfect place to raise a family. 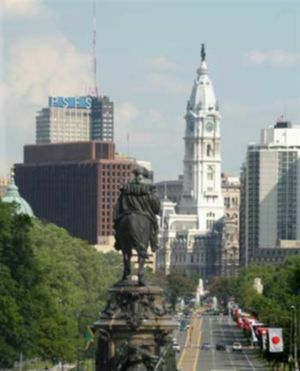 Philadelphia, Pennsylvania is within a 25 minutes car ride from Haverford Township. It is also very easy to take public transportation, SEPTA, into the city whether it be by train or bus. Amtrak Regional Rail line the R3 and R5 go directly into the city from Haverford Township. It is also an option to take routes 104, 112, or 123 to 69th street from the Manoa Shopping Center. At 69th street you can transfer over to the Market Frankford Line which brings you to Center City. Located in Ardmore, minutes away from Haverford Township is Suburban Square. Here there is great shopping and dining. There are stores such as Macys, Urban Outfitters, Free People, The Gap, City Sports, American Eagle, and many more. 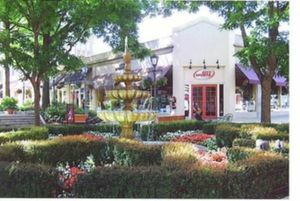 There are also great restaurants such as Plate, Corner Bakery Cafe, and Rubys. Within a twenty minute drive of Haverford Township there is the King of Prussia Mall. This is one of the best malls in the country and the East Coasts premier shopping destination. It is composed of two malls, The Plaza and The Court. There are hundreds and stores a including: Bloomingdales, Nordstrom, H&M, Forever 21, American Apparel, Louis Vuitton, Tiffany and Company, Coach, and many more. There are also many great restaurants such as The Cheesecake Factory, Morton Steak House and Maggianos. It is also very easy to get to the mall by using SEPTA. Route 123 takes you directly to the mall from the Manoa Shopping Center for a very affordable price. There are no major hotels in Haverford Township. Consider staying in Philadelphia. Or try the Wyndham in Bryn Mawr, which is near the Haverford Township line in Lower Merion Township. There are also excellent options in Radnor and Wayne. It is very easy to walk around many areas of Haverford Township. A car would be ideal for farther locations in Haverford Township. However, there are many great locations surrounding Haverford Township that are a quick, easy, SEPTA bus or train ride away. 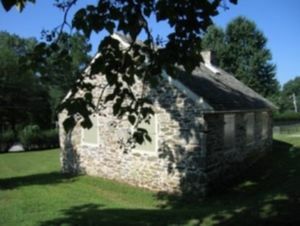 The Federal School is a one of the many historical sites to see in Haverford Township. It is on the National Register of Historic Places and is on Darby Road in Havertown. It is a one room school house that was established in 1797. It was named the Federal School as a reflection of the members of the community being proud citizens of the Federal United States. The building was restoring in 1991 and is now open for tours as well as class field trips which reenact the average class day in the 1800s. Two other great historical sites also on the National Register of Historic Places are Nitre Hall and Lawrence Cabin. Nitre Hall Powder Mills were built in the early 1800s along Cobb’s Creek on Karakung Drive. It was a center for manufacture for almost 200 years. Nitre Hall was where the powder master lived, is the only part of the mills remaining of the industrial era. The building is open May through October. Lawrence Cabin is one of the first homes of the first settlers in the area. It was built in 1709 on Old West Chester Pike Road but was relocated to Karakung Drive by the township when threatened by destruction. Every year during the first Saturday of October the township hosts Haverford Township Day. This is a daylong event which is held on Darby Road. There are many different booths set up where people can choose from a huge array of items such as clothing or collectable items. There is also live music and a huge variety of food vendors. The day is ended with a parade. The Haverford Township Skatium is on Darby Road in Havertown and is a great place to take children for some ice skating. There are affordable sessions which allow children and parents alike to skate. There are also private party options. 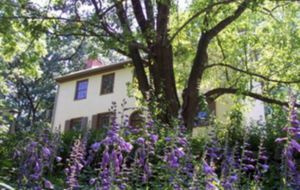 Haverford College features an arboretum with a 2.5 mile nature path, and a small, free art museum (The Cantor Fitzgerald Gallery, located inside the Whitehead Campus Center) and is certainly worth a visit. Kangaroo U is a fairly new establishment located on Eagle Road in Havertown. It is a play area for young Children that includes slides and arcade games. There is a helpful staff that help the children to have a great time. They offer birthday party packages as well as day guest passes. There are many great free parks in Haverford Township. The Merry Place is a large park located on Glendale Road in Havertown. There are also Westgate Hills, Bailey Park, Paddock Farms, The Grange Estate, and many more. These parks have playing areas for children, tennis courts, basketball courts and many have nature and picnic areas. There are many great affordable places to dine in Havertown. There is a full array of pizza places to choose from. Just on Darby Road there are Cenzos, Havertown Pizza, and Brookline Pizza. Also not far from these shops are Joey’s Pizza, Dimeos Pizza, and Porta Rosa Pizza. The Sampan Inn is a great fairly priced restaurant located at Darby Road and Brookline Boulevard. It has both A Japanese and a Chinese Menu. The Japanese side has great sushi and a modern look. A hidden but very good restaurant in Haverford Township is Nais Cuisine. It is a fairly small restaurant which serves French cuisine with an Oriental flavor. It offers entrees such as Thai Shrimp, Chicken Curry, and Filet Mignon. It is very reasonably priced. It is on Benedict Avenue in Havertown, close to the Oakmont Fire Company. The Oakmont Pub is on the corner of Darby and Eagles Road. It not only has great food but a full stocked bar. There is a huge selection of drought beers. There is also often live entertainment at night in the deck area. There are many televisions inside to watch sporting events as well as an upstairs dining area. Barnaby’s of America, located on West Chester Pike and Lawrence Road, has a great bar scene as well as a good restaurant. They offer many specials such as an “all you can eat” crab night on Tuesday nights. They also have great different beer specials every night. Happy hour is Monday through Friday from 4:30-6:30 where there are half priced appetizers and reduced drink prices in the bar area. Haverford Township is one of the safest areas in Southeastern Pennsylvania in terms of crime. Just be careful crossing streets, as many major intersections feature fast-moving cars and some do not have crosswalks. Underage drinking is strictly enforced, and penalties can be severe. Take SEPTA (www.septa.org) to Philadelphia and other locations throughout the Delaware River Valley.